We all have dreams, dreams of success, fortune, fame, a home, a business, the corner office. Many dreams die, and the question becomes why? Why do most dreams remain unfulfilled? 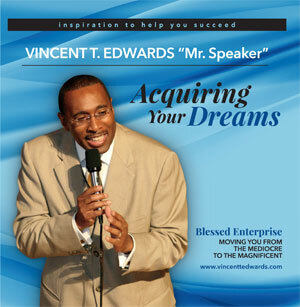 In this presentation, Vincent shares insight, inspiration and motivation to help you acquire your dreams. Join us on Facebook and Twitter for the latest updates.